67 photos of this loco in preservation from 1967 to the present day. 46115 Scots Guardsman, Haworth, 16 April 1967 1 6115 was built in Glasgow by North British in 1927 and rebuilt at Crewe in 1950. It was withdrawn from Carlisle Kingmoor in January 1966 - NB the painted 12A shedcode. 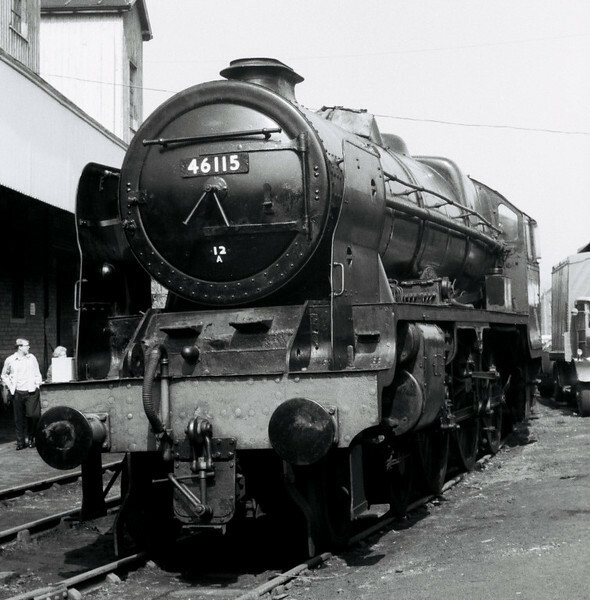 It was towed from Carlisle to the KWVR on 11 August 1966 by 75051.